Where is the Logic Answers for level 61 to 90 can be found here. Earn more coins by solving the levels without showing every picture. Or just get help if you can’t find the right solution for the four pictures. We help you to solve each level of Where Is The Logic. 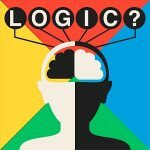 Where is the Logic Answers for each level can be found here. Earn more coins by solving the levels without showing every picture. Or just get help if you can’t find the right solution for the four pictures. We help you to solve each level of Where Is The Logic. You can leave a comment if you can’t find your answer, in that case, let us know which letters you have an try to describe what you see on the pictures. At this page you will find the answers for level 61 – 90. Below these answers there are links to the other levels. They are all easy to find. Have fun solving your levels!